After Paris, Are French Security Forces Up to the Task? Originally published under the title "We Could Be Facing Civil War, and Our Security Forces Are Crippled." 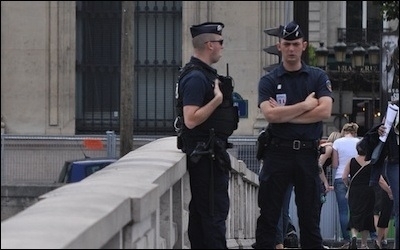 France's security apparatus is greatly overstretched. A state of emergency has been declared in France. So far, everyone, right and left, seems to agree that the country must resort to drastic means to restore safety. Commentators frequently point to Israel as an example to be followed. Border controls loosened under the Schengen regime have been re-established, there have been arrests, mosques seen as hotbeds of radicalism may be closed, and some foreign imams may be expelled. Security forces in combat gear have been guarding public buildings and public spaces. Still, one wonders how effective such policies can be. According to Vincent Desportes, a former general and author of a book on national defence, France's security apparatus is crippled and overstretched. He said the military's "operational strength" was cut by 25 per cent under Nicolas Sarkozy, and again by 25 per cent in President Hollande's first three years. As a result, no more than 100,000 troops can be mobilised and the cream of the country's forces are constantly rotating on missions abroad. The French also rely on the Gendarmerie, a semi-militarised police corps, and the regular police, each over 100,000-strong. The entire defence and security apparatus can thus be estimated at just over 300,000, barely enough for a population of 67 million. Thousands of young French Muslims have joined Al Qaeda and Daesh in Syria. According to the newspaper L'Opinion, troops deployed after the January attacks to protect "sensitive" sites such as synagogues and schools have complained of being overworked. A second major difficulty is France's ethnic and religious diversity. The eight terrorists involved appear to have been Muslim French citizens of North African descent. Previous killings were perpetrated by Muslim French citizens of North African or Sub-Saharan African descent. Thousands of young French Muslims have joined Al Qaeda and Daesh in Syria, and many of them are back in the country. Many areas have been described as "no go" zones by police and seem to be controlled either by ethnic criminal gangs or jihadist networks. In such circumstances, a sustained war on terror may easily lapse into a kind of civil war between the ethnic French and the French Muslims. This possibility exists, despite the fact that minorities make up a large proportion of the security forces. Muslims make up nine per cent of the population. A French political science think tank split them into three groups: the "observant," the "believers," and the "French citizens of Muslim origin." The first group grew from 36 per cent of the overall Muslim population in 2001 to 42 per cent in 2014, and is much more likely than the two other groups to entertain negative views against non-Muslims.